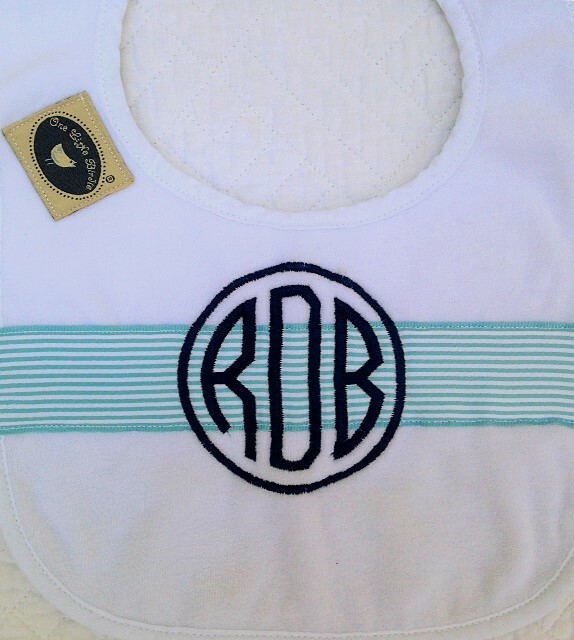 One Little Birdie bib & burpie sets are the perfect monogrammed gift for a new baby. 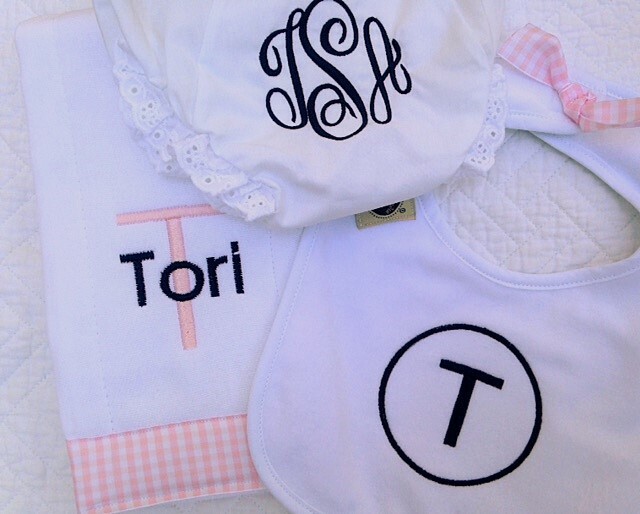 One Little Birdie bib & burpie sets are the perfect monogrammed gift for a new baby. 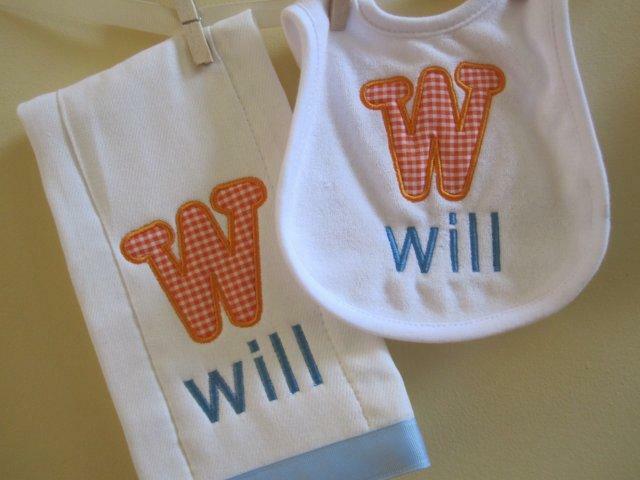 Infant bibs are made from an ultra-soft terry cloth and close with smooth velcro at the back of the neck. Burpies are made from a super absorbent 6-ply diaper, trimmed with wide grosgrain ribbon, and are finished with the signature One Little Birdie woven label. And now bibs are finished with the signature label too! 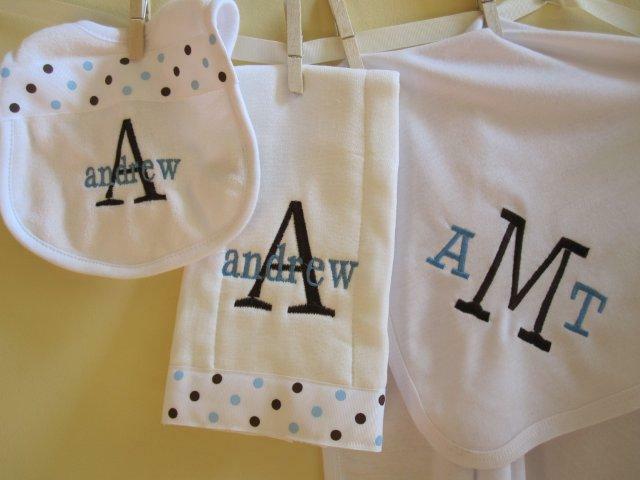 Baby boy bibs have grosgrain across the front, for baby girls there is a bow at the closure. If you would like ribbon trim added to the front of a girl bib (in addition to the bow at the closure), $1.00 will be added to your total at the time of credit card processing. Please indicate in the notes. Check back frequently as new ribbons are added regularly!